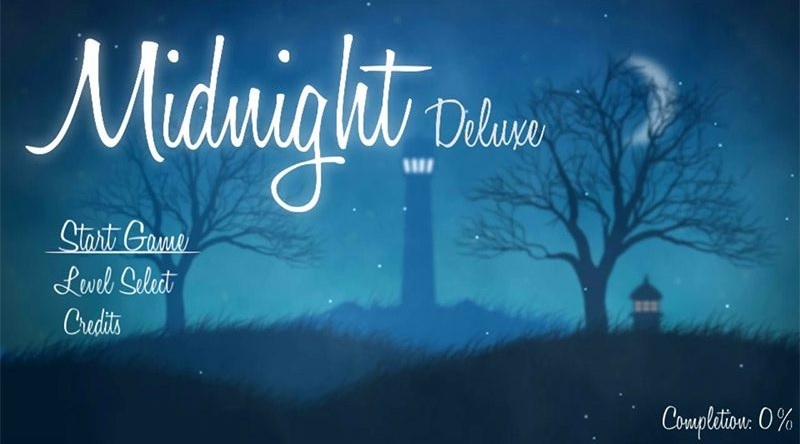 Midnight Deluxe is the latest title in the Midnight series of games developed by Petite Games and marks a shift in the gameplay style that caught me completely off-guard as this is actually a golf game. 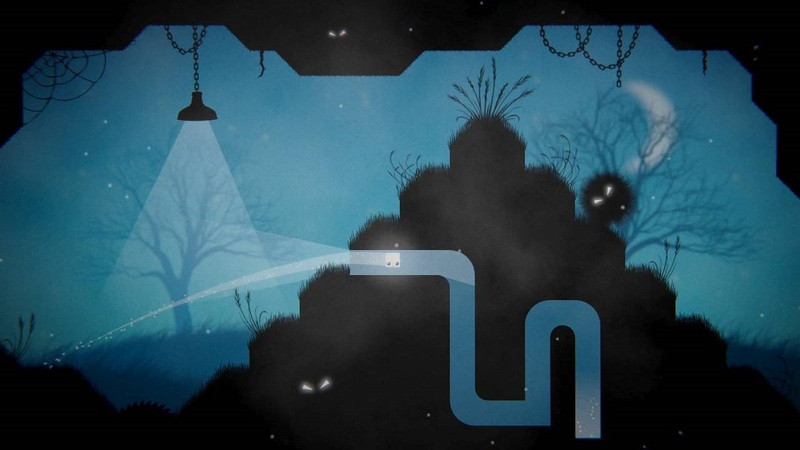 Midnight Deluxe lacks any story or lore about this eerie world as you make your way through its 70 stages where you have to get our little square buddy into a hole as if you were playing a 2D version of golf. 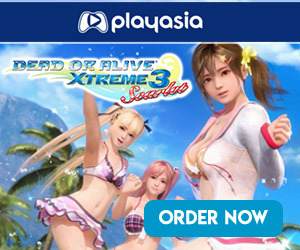 This actually threw me for a loop since the previous game, 36 Fragments of Midnight and the previous games in this series were instead more traditional platformers. However, this isn’t exactly a bad thing, in fact, I actually prefer this one over the previous iterations of the Midnight series. With that said it was extremely hard to shake the feeling that I was playing a mobile game on my TV due to things such as the game’s scoring system which uses a 3-star rating akin to what you find in thousands of games on the App Store, and controls are so simple that you’d be able to play it just fine, in fact arguably better, with a PC mouse or on a big touch screen rather than with a regular controller (this is only a non-issue on the PS Vita/Switch versions of the game). The controls are really that straightforward, you simply hold a button and aim using the analog stick to where you want the little white square to go. Holding the analog stick at specific angles while trying to hold your thumb steady is part of the challenge but having a button that locked the strength of your shot would be a welcomed addition in a future sequel for sure. 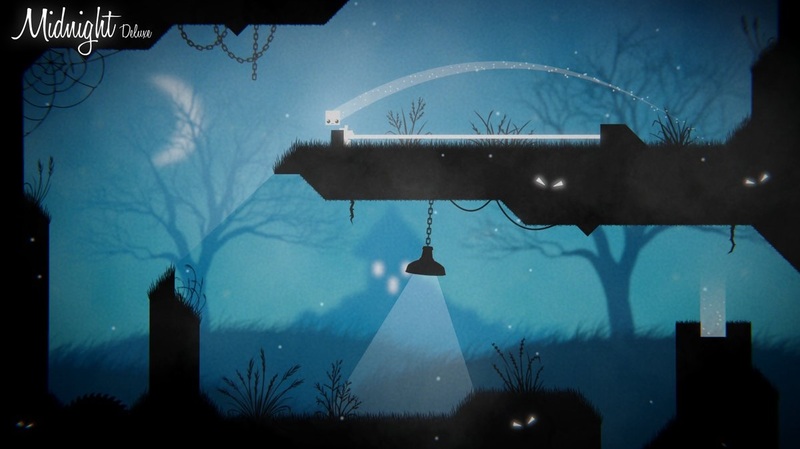 The game adopts the series staple silhouette style with some decent lighting and particle effects. Accompanying the soothing visuals is a suitable calm piano soundtrack comprised of several original renditions of classical music. 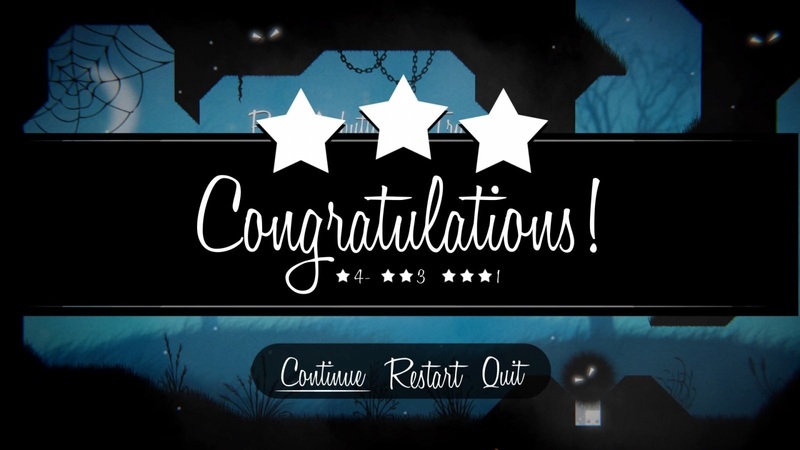 The staggering number of stages started to become a little meaningless the more that I played Mightnight Deluxe. Stages have different terrain patterns and a couple of stage hazards thrown in such as pitfalls and lasers but, unfortunately, the level design isn’t that compelling, failing to push itself in more interesting ways. Trophy hunters will be happy to learn that the game has a very easy trophy list (just like 36 Fragments of Midnight) so there’s certainly an extra incentive for them to eventually give the game a go. Midnight Deluxe is an affordable fun time waster that might keep you entertained for a couple of hours, despite it being conceptually and visually fine it lacks the originality and finesse that’s essential for a game to stand out among the crowded digital markets of the current generation of consoles.